Non-governmental organisations say not enough is being done to educate and inform society about care centres for unwanted babies. This is after two infants were found dumped by their mothers in Durban. 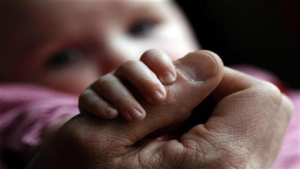 Statistics of infants being abandoned in South Africa are alarming. Author of “Through the Window-How I beat PND,” Lauren Shapiro, shares her experiences in her book about perinatal distress. The mother of three says she suffered from PND in her third pregnancy. It caused depression and heightened anxiety. Statistics show that more than 3 000 babies survive abandonment in the country every year. General Manager of the Department of Social Development, Vusi Khoza, highlighted trauma as one of the aspects that may lead to it. Despite all the odds, two babies dumped recently survived. One was rescued from a storm water pipe in Newlands East while another premature infant was found in a medical waste bin in a local hospital. Joe Teunissen, Caretaker of a children’s home, has adopted a child. Teunissen says many mothers are not well informed about organisations that can take care of unwanted babies. Being better informed about them, could lead to a decrease in the numbers of babies abandoned at birth. The post ‘Not enough done to educate people about centres for unwanted babies’ appeared first on SABC News – Breaking news, special reports, world, business, sport coverage of all South African current events. Africa's news leader..